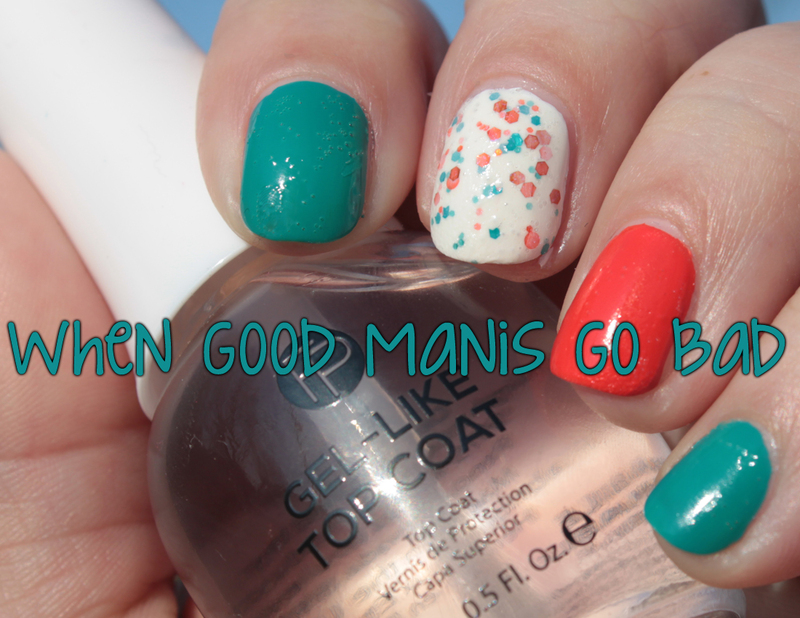 Let's start with what should be my most favorite mani ever in the history of the entire world. My most favorite colors, my custom crelly glitter! ...but someone I invited to the party didn't play well with everyone else, and it got all bubbly and bumpy. 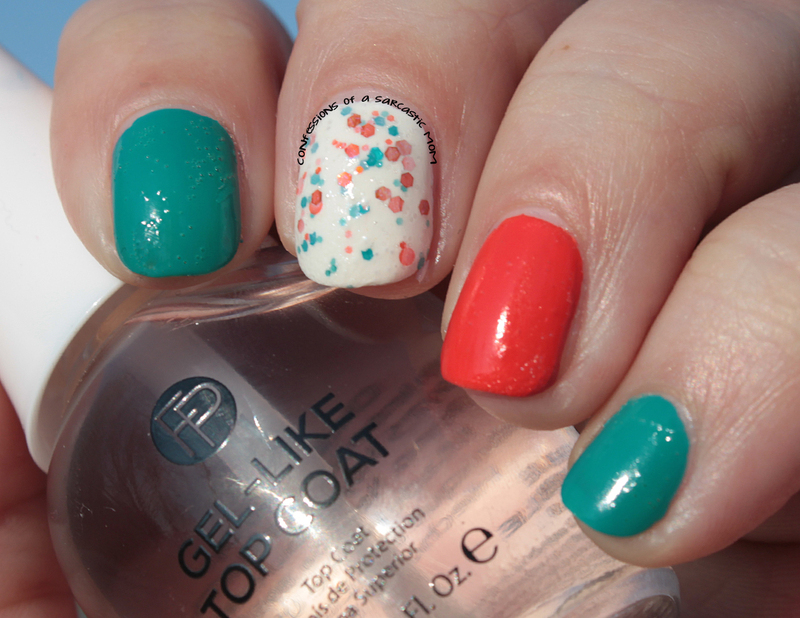 FingerPaints Gel-Like Top Coat just didn't work with these Milani polishes (Quick Teal and Jiffy Orange). My Different Dimension custom, Break My Heart, also bubbled. I will try this again.... with a different top coat next time! On to this next fail.... man, I should've chosen my colors more wisely. 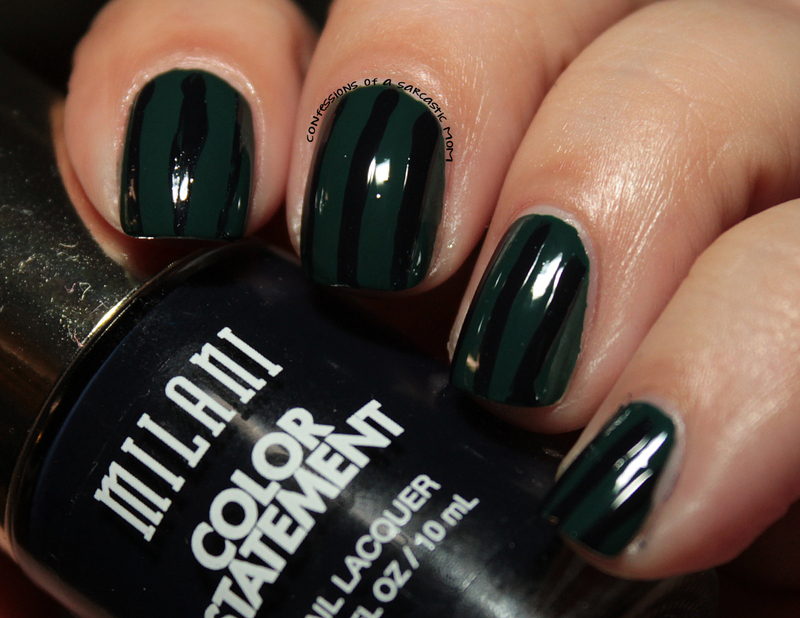 I bought Milani Enchanted Sapphire and Enchanted Emerald and got it in my head that they'd make an excellent striped mani. Except the colors didn't quite contrast as much as they should, and it just ended up looking like a villain's pin-striped suit. And last, but not least, my horrible Mystery, Inc. representation. I'm a HUGE Scooby Doo fan, and it just seems logical for me to attempt this. But not in this way haha! My original thought was to do chevrons with the colors representing each of the characters - Scooby, Shaggy, Velma, Daphne and Fred (They are on my nails in that order). 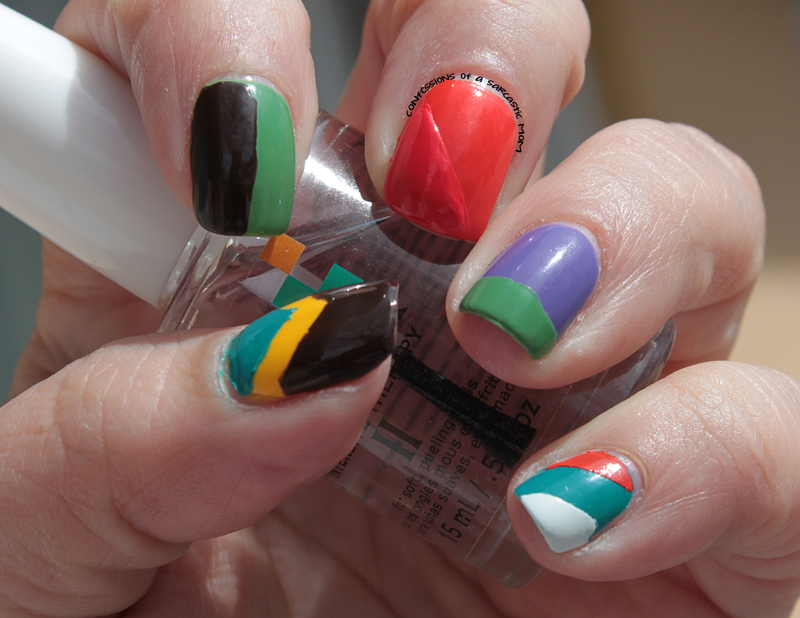 However, I ended up doing an abstract tape mani with the colors. I kind of like the way my Scooby Nail turned out, but the colors? Nah! I used all Milani polishes for this mani (the old bottle). Some where purchased by me, and some of them were press samples. What about you guys? Do you have some fails? Sometimes I wonder if fails are what motivates me to try new techniques!